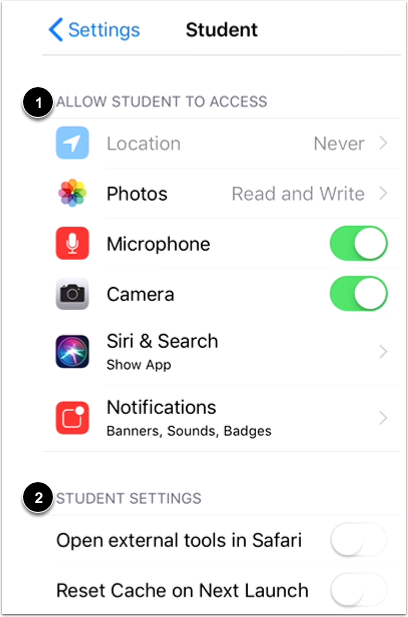 What Student app options can I manage from my iOS device settings? 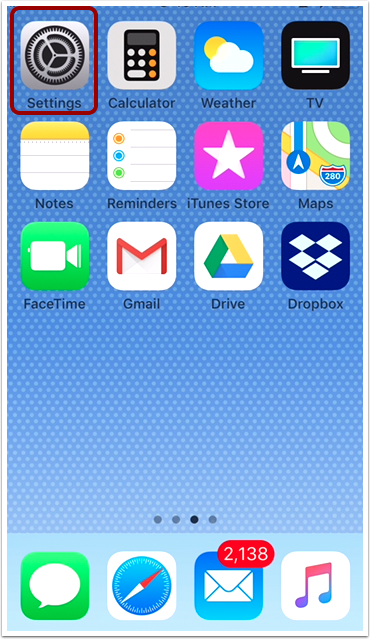 From your iOS device settings, you can manage access settings, open external tools in Safari, and reset your cache. Enabling the option to open external tools in Safari will launch the Safari app to view external tools. If this option is not enabled, external tools will open in webview inside the Student app. You may want to enable this option if you are experiencing difficulties with viewing external tools. Resetting your cache will clear all information on your device that is specific to the app, including login details, some annotated documents, and app settings. You may want to use a cache reset if you experience errors when logging in to the app. Because a cache reset will remove app information from your device, you may want to try resetting your password or uninstalling the app first. After enabling the Reset Cache on Next Launch option, you must force close and re-launch the Student app for your cache to reset. In the Settings menu, tap the Student link. View the Student app settings menu. From the Settings menu, you can manage access settings  and app settings . 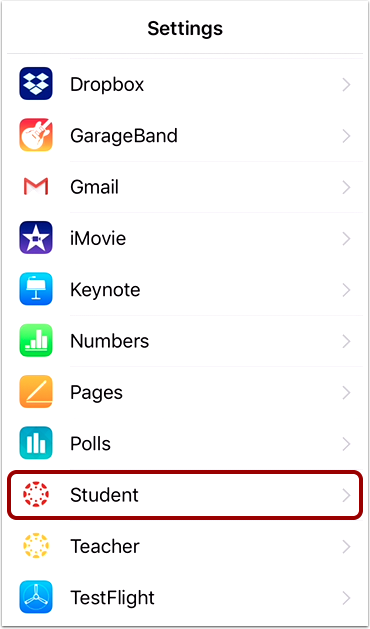 From the access settings, you can manage which device tools that the Student app can access. From the app settings, you can open external tools in Safari by default and reset your app cache. 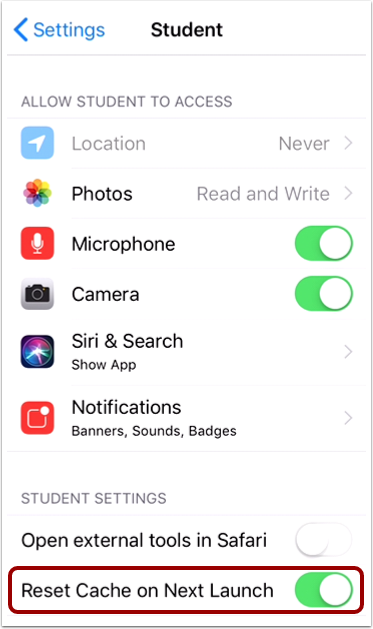 From the access settings, you can view and manage if the Student app can access your device location , photos , microphone , and camera . 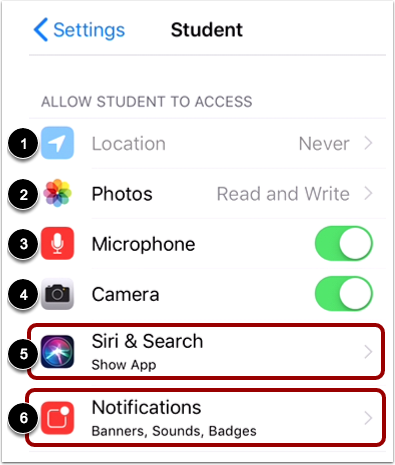 To allow Student app information to display in Search and Siri tools, tap the Siri & Search button . 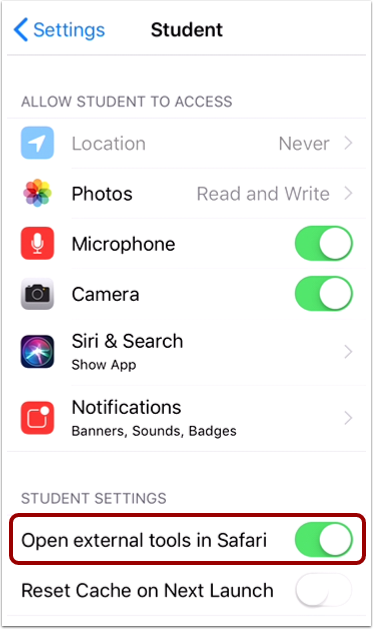 To manage Student app notification options, tap the Notifications button . To open external tools in Safari by default, tap the Open external tools in Safari button. When this option is enabled, all external tools will launch in the Safari app instead of the Student app. To reset your cache, tap the Reset Cache on Next Launch button. Resetting your cache will clear all information on your device that is specific to the app, including login details, some annotated documents, and app settings. The Reset Cache on Next Launch will toggle to the Off position after the app has launched. Previous Topic:How do I choose a profile cover image in the Student app on my iOS device? Next Topic:How do I view the Calendar in the Student app on my iOS device? Table of Contents > App Settings > What Student app options can I manage from my iOS device settings?